From cybersecurity services to business email to data collection and distribution, leading shipping companies trust Dualog to optimise, secure and simplify their digital operations. 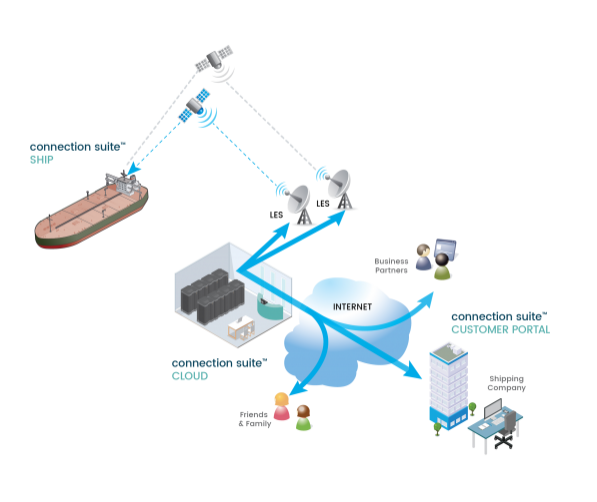 The platform consists of a client software called Dualog® Connection Suite and a cloud service to easily configure and monitor ship-shore data operations. For the solution to work on board a vessel, you need to have Dualog® Connection Suite installed on board the ship. Some services also require the client software to be installed at the office or any remote location. The services are easily configurable via any standard web client (like Internet Explorer, Google Chrome, Safari or Firefox) with an Internet connection. 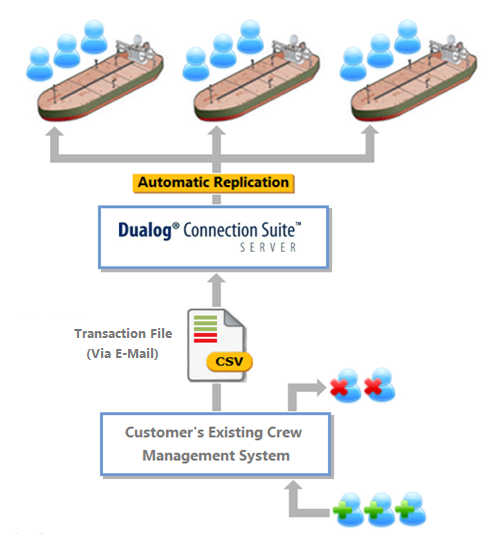 The Dualog software has a bidirectional replication subsystem that handles remote configuration, position reporting and traffic logs. For maximum cost efficiency, replication updates are transferred only within data communication sessions. User details may be distributed to the whole fleet of vessels very efficient using an automated method that starts at the company's Crewing System(s) as illustrated below.Users may be put into different User Groups that may be allocated different rights when it comes to using the ship's communication systems and services, e.g. crew email and Internet access onboard.